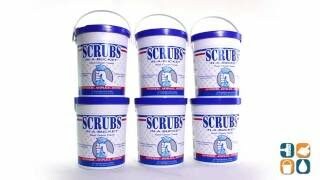 Scrubs In-A-Bucket are heavy-duty, premoistened, textured hand cleaning towels that have a citrus-based cleaner that quickly dissolves dirt, paint, grease and grime. Towels lock in dirt and will not transfer soils back onto hands. Leaves hands clean; no rinsing necessary. 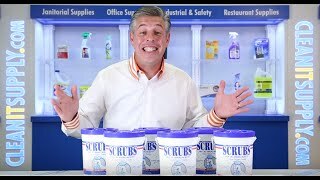 Includes 6 buckets of 72 hand cleaning towels each. CleanItSupply.com - The wholesale hand cleaning towel supplier, buyers trust. For heavy grease these are the best!